The FourTune radio receives four different wavebands: AM, FM, 198 LW and Sport (to be used in a stadium/ground where a special ADS broadcast takes place). Use the mode button on this in-ear phone radio to switch between the aforementioned wavebands. To alter the frequency within a mode use the UP and DOWN buttons. 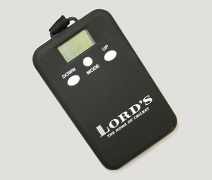 For example; when at an International cricket match at Lord's use the MODE button to select E1 � Sky Sports or E2 � BBC TMS, for commentary with FM sound quality. Away from the ground BBC is usually available on the 198 LW setting. The product has a control wheel that turns the radio on and off and regulates the volume.